Traditional furniture is rich with intricate features and exquisite detailing which lends itself perfectly to the design of your bespoke handmade kitchen. We incorporate this style heritage with modern features and functionality to produce kitchens with timeless elegance and lasting quality. Visit the Furniture & Design workshop and watch our skilled cabinet makers as they work diligently on the detail of your bespoke kitchen. 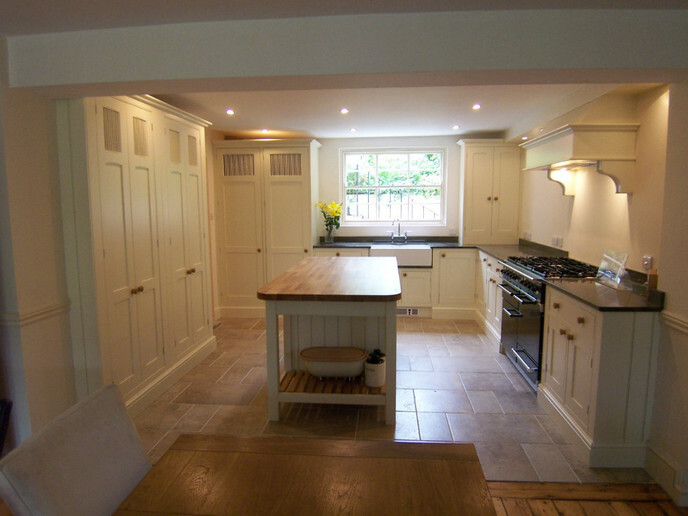 If you would like to know more about your handmade kitchen furniture please call us on 01865 370222 or 07779 272811, or alternatively click here to complete our short contact form.